We can’t ignore where the Sheriff came from, where this power has come from and that we as deputies and peace officers who have all sworn the same oath and that we stand united in making sure that the people in our counties have individual liberty. I don’t think there is anything in our jobs that we won’t view differently, and I’m talking about even writing tickets or doing checkpoints, roadblocks and anything else that we do in law enforcement. It will all change once we start looking at it through the prism of the Constitution. It is our foundation, my friends. I’ve never built anything in my life, I don’t know how to build a room or a building or a cardboard box but I know this, that if you destroy the foundation, the rest of the building falls. We are about keeping our communities (and thereby, the nation as a whole) a free, happy, safe place to live. Why do we catch and punish lawbreakers? Because if our laws are constitutionally correct, they prohibit us from doing only those things that infringe on the rights or freedoms of others. [A]ll too often, our lawmakers enact more laws in a supposed effort to protect everyone from everything, even from ourselves. Lawmakers cross the line when they attempt this by violating one of our most precious constitutional rights of all: The right to determine our own destiny. Power-hungry government officials – backed by people with hidden agendas – have convinced us to sacrifice our freedoms bit by bit, always in the name of some supposedly noble cause (usually something to do with protecting us from some imaginary or greatly exaggerated danger). And with every change they gain a little more power; a little more control. The county sheriff is the line in the sand. The county sheriff is the one who can say to the feds, “Beyond these bounds you shall not pass.” This is not only within the scope of the sheriff’s authority; it’s the sheriff’s sworn duty. And what about the little guys; the individual police officers? It’s all about judgement calls. This is why we encourage you, the next time you hear “Serve and Protect” to repeat in your own mind the true meaning, embodied in our slogan: To Serve The People And Protect Their Rights. The Founders of America pledged their lives, their fortunes, and their sacred honor to establish liberty here in the USA. To keep it, we the People must do likewise. CSPOA also has a leadership page listing law enforcement in various states. Concerned citizens are encouraged to contact the CSPOA leaders in their area, who are familiar with the Constitutional oath of law enforcement, and see if they might be of assistance to help educate local sheriffs. Will your Sheriff Uphold His Oath and Protect Your Constitutional Rights Against Government Intrusion from Overzealous CPS Workers? Sheriff removing children from homeschool family even though no charges brought against the parents. Story here. One of the most important things any concerned citizen can do is to engage their local sheriff in a conversation about their sworn oath to uphold the Constitution and protect the citizens from any violations of the Bill of Rights. Just as the Constitution is the foundation of our Country, the family unit is the foundation of every community, and must be safeguarded. In America, we have a government based on a declaration that certain rights of the people are God-given and inalienable: not able to have a lien against them, or not able to be taken away. That means that governments don’t give us our rights, or allow us our freedoms, but God directly gives us these rights: we are born with them and they cannot be taken away! They’re inalienable! We hold these Truths to be self-evident, that all Men are created equal, that they are endowed by their Creator with certain unalienable Rights, that among these are Life, Liberty, and the Pursuit of Happiness—That to secure these Rights, Governments are instituted among Men, deriving their just Powers from the Consent of the Governed, that whenever any form of Government becomes destructive of these Ends, it is the Right of the People to alter or to abolish it, and to institute new Government, laying its Foundation on such Principles, and organizing its Powers in such form, as to them shall seem most likely to effect their Safety and Happiness. Therefore, it is the government’s (including all state workers and public officials) JOB to safeguard these rights for the people. They are supposed to protect and serve the people to ensure the people’s rights to Life, Liberty, and the Pursuit of Happiness! The Constitution and the Amendments were written to delineate the duties and limitations of the government, and to expound the Rights the people. 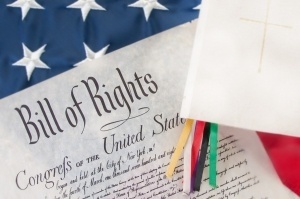 Government is supposed to protect these Rights, but are they? The people have a responsibility too – to make sure that the government is doing its job, or “alter or abolish” the present one and start a new one! Perhaps, by talking to the local sheriffs, and reminding them of their duty and job to uphold their oath to abide by the Constitution, the people can “alter” the current abuses perpetrated by law enforcement, CPS, medical doctors, etc., in their unlawful violations of the Rights so clearly outlined in the Constitutional Amendments. Sheriffs wield a lot of power, and have the authority to stop the illegal and unlawful practices of government officials, like social workers. Sheriffs are the peoples’ greatest hope at turning the tide away from an abusive, tyrannical government in which the people fear violations of their most fundamental rights, and back to a government that ensures the liberty of its people to live peacefully in security, knowing and trusting that their local sheriff is a Constitutional law-abiding servant of the people. So, before facing a potential stand-off with CPS workers showing up at your door accompanied by local law enforcement, get to know the local sheriff and ask him if he will uphold his oath to protect the Constitutional Rights of the people, or will he take orders from social workers and aid and abet them to violate the people’s Rights? The first seven articles of the Constitution set up our governmental branches and outlines and limits their functions and authority, rules for elections, federal and state government relationships, adding new states to the union, and officially proclaims that the Constitution is the highest law of the land. All federal and state workers, officers, judges, etc., must uphold and abide by the Constitution. The first Ten Amendments, known as The Bill of Rights, outline the rights and freedoms to be enjoyed by the people, and serve to ensure that the government will not make laws that abridge these Rights. When considering if CPS investigations and intrusions into families’ lives are legal, the 4th Amendment comes into question. Under the 4th Amendment, citizens are to be free from unreasonable searches and seizures by the government. The United States Court of Appeals for the Ninth Circuit said it best, “The government’s interest in the welfare of children embraces not only protecting children from physical abuse, but also protecting children’s interest in the privacy and dignity of their homes and in the lawfully exercised authority of their parents.” Calabretta v. Floyd, 189 F.3d 808 (1999). Contrary to the assumption of hundreds of social workers that we have interacted with at HSLDA, the Ninth Circuit held that the Fourth Amendment applies just as much to a child abuse investigation as it does to any criminal or other governmental investigation. Social workers are not exempt from the requirements of the Fourth Amendment when they act alone. They are not exempt from its rules if they are accompanied by a police officer. And police officers are not exempt from the requirement even if all they do is get the front door open for the social worker. What are the requirements of the Fourth Amendment? The general rule is that unreasonable searches and seizures are banned. But the second part of the rule is the most important in this context. All warrantless searches are presumptively unreasonable. The adult in charge of the premises gives the social worker his/her free and voluntary consent to enter the home. (b) the evidence demonstrates that there are exigent circumstances relative to the health of the children. If a police officer says, “If you don’t let us in your home we will break down your door.” A parent who then opens the door has not given free and voluntary consent. If a social worker says, “If you don’t let me in the home I will take your children away.” A parent who then opens the door has not given free and voluntary consent. Threats to go get a “pick up order” negate consent. Any type of communication which conveys the idea to the parent that they have no realistic alternative but to allow entry negates any claim that the entry was lawfully gained through the channel of consent. 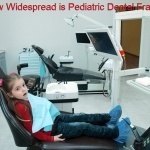 It is not enough to have information that the children are in some form of serious danger. The evidence must also pass a test of reliability that our justice system calls probable cause. In the first appellate case I ever handled in this area, H.R. v. State Department of Human Resources, 612 So. 2d 477 (Ala. Ct. App. 1992); the court held that an anonymous tip standing alone never amounts to probable cause. The Calabretta court held the same thing, as have numerous other decisions which have faced the issue directly. First and foremost, keep in mind that the ultimate federal mandate is the Constitution of the United States. No federal law can condition your receipt of federal funds on the basis that you violate some other provision of the Constitution. South Dakota v. Dole, 514 U.S. 549 (1995). Obviously, nothing in the Constitution prevents a social worker from going to a home and simply asking to come in. If the parent or guardian says “yes,” there is no constitutional violation whatsoever, provided that there was no coercion. The second alternative is to seek a warrant or entry order. The Fourth Amendment itself spells out the evidence required for a warrant or entry order. No warrant shall issue but on probable cause. The United States Supreme Court has held that courts may not use a different standard other than probable cause for the issuance of such orders. Griffin v. Wisconsin, 483 U.S. 868 (1987). If a court issues a warrant based on an uncorroborated anonymous tip, the warrant will not survive a judicial challenge in the higher courts. Anonymous tips are never probable cause. It is my opinion that the welfare of children is absolutely consistent with our constitutional requirements. Children are not well-served if they are subjected to investigations based on false allegations. Little children can be traumatized by investigations in ways that are unintended by the social worker. However, to a small child all they know is that a strange adult is taking off their clothing while their mother is sobbing in the next room in the presence of an armed police officer. This does not seem to a child to be a proper invasion of their person. The misuse of anonymous tips are well-known. Personal vendettas, neighborhood squabbles, disputes on the Little League field, are turned into maliciously false allegations breathed into a hotline. From my perspective, there is no reason whatsoever in any case, for a report to be anonymous. There is every reason to keep the reports confidential. The difference between an anonymous report and a confidential report is obvious. In an anonymous report the social worker or police officer does not know who the reporter is and has no evidence of the reliability of their report. There is no policy reason for keeping social workers or police officers in the dark. On the other hand, there is every reason to keep the name of the reporter confidential. There are a great number of reasons that the person being investigated shouldn’t know who made the call. Moreover, precious resources are diverted from children who are truly in need of protection when social workers are chasing false allegations breathed into a telephone by a malicious anonymous tipster. If such a tipster is told: “May we please have your name, address, and phone number? We will keep this totally confidential,” it is highly probable that the vast majority of reports made in good faith will give such information. It is also probable that those making maliciously false allegations will simply hang up. Child Protective Services nationwide often violate the Constitutional Rights of the People when performing their warrant-less home searches, seizing children, coercing families into compliance with “services” with their “guilty until proven innocent” approach, and by withholding due process by means of their special Family Courts that operate outside of the Constitution. What makes matters worse is that often these unconstitutional activities are being aided and abetted by local law enforcement; the ones who should be keeping law and order are negligently allowing social workers to operate outside of the law, and this makes both the social workers and the law officers guilty of violating the Constitutional Rights of the people. Local sheriffs can put an end to the lawlessness within their local jurisdictions by holding all social workers accountable to follow the Constitution when performing their duties, by making sure that all their deputies and office staff are trained in understanding the Constitutional Rights of all citizens, and by guaranteeing that all local law enforcement officers carry out their duties within the law and limitations set forth within the Constitution. Sheriffs should not be taking their commands from social workers, but social workers should be commanded by local sheriffs to follow the law and not violate the rights of their constituents. 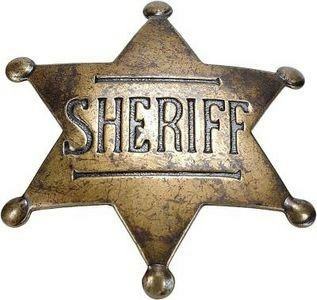 Sheriffs are the Supreme Law of the Land, elected by the citizens, and sworn to defend their citizens from all enemies of the Constitution and the Bill of Rights. Their job is to protect and safeguard our freedom! CPS and/or law enforcement violate the 4th Amendment Right of the people when they perform warrantless searches without exigent circumstances, or when they get warrants based on hearsay (not supported by oath or affirmation, such as anonymous calls) and without probable cause. People have the right to be secure in their persons, houses, papers, and effects, and to be protected against unreasonable searches and seizures. Similarly, the 4th Amendment can be violated by “unreasonable search and seizures” when a search warrant is carried out for more than the specifically named place, persons or things to be searched and/or seized that have been searched. Often social workers and law enforcement will coerce their way into a home to elicit a “voluntary” warrant-less search, through intimidation, lies, and demanding entrance, stating that “if you have nothing to hide” you should let them in and prove your innocence, or even worse, threatening that if you don’t let them in to search, that they will forcibly remove your children anyway. Once inside, they will search for evidence to use against you to build a case to remove your children. Under the 4th Amendment, whether a person is innocent or guilty, they do not have to “prove their innocence” by submitting to a warrant-less search. Do not give into these intimidation and unlawful violations of the 4th amendment, and insist that your sheriff not allow these types of violations by any state workers, whether law enforcement or social workers. In the case of the Calabretta’s, the state workers were not granted immunity when they coerced their way into the home, and the court said that an anonymous tip did not constitute probable cause. 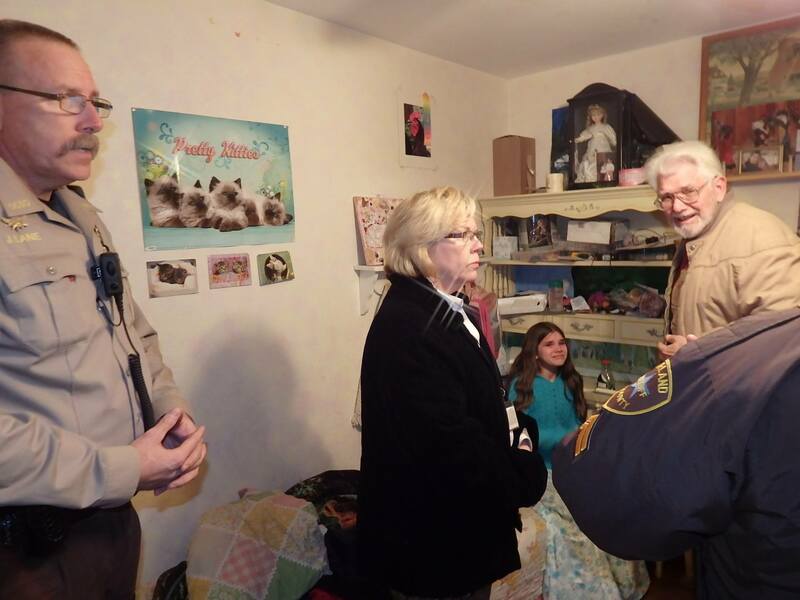 See: CPS & Police Taser, Handcuff Parents: Enter Home of Homeschool Family without Warrant. Sheriffs in Arkansas had a search warrant for a mineral supplement, but instead of removing the supplement (which was not illegal to possess) they removed all 7 children. Story here. Family Court “trials” violate the 5th Amendment Right by coercing parents to be witnesses against themselves by signing Case Plans or risk losing their children. Families are being deprived of life, liberty, or property, without due process of law. Below is an example of how families are being coerced to comply with case plans for “services” they neither want nor need, under threat of losing their children forever! This compliance is then used as evidence against the family as proof of their guilt and their need for services! Children are coerced and coached into fabricating evidence against their parents under threat of never seeing their parents again. Under the 5th Amendment, you (and your children) do NOT have to speak to law enforcement or social workers and incriminate yourself, even if you ARE INNOCENT. When CPS or law enforcement show up at your door, this is not the time to try and defend your innocence, as ANYTHING you say (or sign, like “Case Plans for services”) can and will be used AGAINST you (never for you)! Get a lawyer! Family Court trials violates the 6th Amendment by excluding witnesses and evidence provided by the families in their defense, and making judgments on hearsay and opinion (rulings are based on the Preponderance of Evidence – or basically a social worker’s or doctor’s opinion). Family Court violates the family’s rights to a speedy trial with witnesses in their favor and an impartial jury. By allowing anonymous tips and hearsay, families are denied the right to be informed of the nature and cause of the accusation and to be confronted with the witnesses against him. When social workers and/or law enforcement question children without an attorney present, their right to have the assistance of counsel for his defense is violated. When children are seized and removed from home, the 8th Amendment is violated by means of inflicting cruel and unusual punishment, by separating families without cause or jury trial. The 9th Amendment is violated when the family is disrupted and destroyed, a God-given right understood to be retained by the people (and not given to the States per the Amendments). The 14th Amendment claims that states cannot make or enforce laws which abridge the privileges or immunities of citizens of the United States, nor deprive any person of life, liberty, or property, without due process of law; nor deny to any person within its jurisdiction the equal protection of the laws, and yet Family Court and CPS systems are designed to do just this. Many families claim that they are treated “guilty until proven innocent” by Family Court, and even worse, they are not given any opportunity to prove their innocence. The rights and privileges as U.S citizens are grievously abridged when they are denied their fundamental rights as parents to make decisions concerning the care, custody, and control of their children, including medical treatment decisions. A sign that can be reproduced and posted at one’s home. Courtesy of Home School Legal Defense Association. According to the Constitution of The United States of America, no one is above the law just because they have a position of authority. When they perform their duties in a way that violates the law, they need to be held accountable in court, just as any other citizen. Families who have been victimized should seek civil and criminal punishment against those who use the authority of the state to act outside the law. Many state workers, including law enforcement and CPS workers, think they can act outside the law with impunity, and claim qualified immunity when violating the law in the line of duty. But as case law shows, these state workers will NOT be found immune by Appeals Courts, even when district courts may have initially granted immunity. Those who violate the rights of families when performing their duties unlawfully, will be brought to justice! One of the more recent rulings in favor of the plaintiff, was ANDREWS v. HICKMAN COUNTY, tried in the 6th Circuit Court of Appeals. This case was brought against both the State social workers and the police officers for violating the Andrews’ 4th Amendment Rights when they entered the Andrews’ house without permission. Mr. Andrews directly asked them to stay outside, but they entered anyway, without a warrant, and without exigent circumstances. The court ruled that it was unlawful for the social workers and law enforcement to enter the home without a warrant. However, the court granted qualified immunity to the social workers because they entered the house after the police officers (having faith that the police had entered lawfully), but police officer Wade was not granted immunity, and he was found to be in violation of the Andrews’ 4th Amendment rights because he entered the property without a search warrant and without permission. Beltrans sued two caseworkers under 42 U.S.C. ‘ 1983, charging constitutional violations in removing child from their custody and attempting to place him under the supervision of the state by fabricating evidence. Court overruled Doe v. Lebbos, and reversed the district court’s ruling that defendants were entitled to absolute immunity. In 1983, three-year old A.D. Brokaw was removed from her parents’ home based on allegations of child neglect. 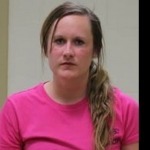 After she turned eighteen, she sued her paternal grandfather, aunt, and uncle, alleging that they conspired to violate her constitutional rights by reporting false claims of child neglect. 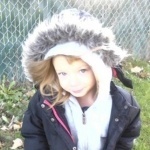 A.D. also sued the various state actors and agencies involved in removing her from her parents’ custody. The district court held that A.D.’s suit was barred by the Rooker-Feldman doctrine because, in effect, A.D. was challenging the validity of the state removal proceedings. The Eleventh Circuit reversed and remanded. School district officials can be liable under 1983 if they are deliberately indifferent to acts committed by a teacher that violate a student’s constitutional rights. “The undesirability of cultural homogenization would lead us to oppose efforts by the state to assume a greater role in children’s development, even if we were confident that the state were capable of doing so effectively and intelligently.” A brilliant analysis of the fundamental right to be free of unwarranted state interference between the child-parent bond, in this case stemming from the Witness Protection Program. “[P]hysical entry into the home is the chief evil against which the … Fourth Amendment is directed,” the Court explained, while adding: “It is a ‘basic principle of Fourth Amendment law’ that searches and seizures inside a home without a warrant are presumptively unreasonable.” No qualified immunity claim to be found here. Defendants do not dispute that the law was clearly established that a warrantless search of a private residence is per se unreasonable under the Fourth Amendment unless one of “a few specifically established and well-delineated exceptions” applies. Defendants maintain that because they had “received specific information questioning the safety of children,” they acted in an objectively reasonable manner when they entered Lopkoff’s private residence. Wrong, and no qualified immunity for these officers. Section 1983 creates a cause of action against any person who, acting under color of state law, violates the constitutional rights of another person. Whether reasonable cause to believe exigent circumstances existed in a given situation, “and the related questions, are all questions of fact to be determined by a jury.” Hence, no immunity for social worker under 42 U.S.C. 1983. The court held that: “a reasonable child welfare worker would have known that conducting a search of a child’s body under his clothes, on private property, without consent or the presence of any other exception to the warrant requirement of the Fourth Amendment, is in direct violation of the child’s constitutional right to be free from unreasonable searches.” No qualified immunity for this CPS caseworker! The court also held that the state statute that allowed for “investigations” on private property without a search warrant was itself unconstitutional as applied. Court denies qualified immunity to the Human Services Director and caseworker involved because the state obligation to provide adequate medical care, protection, and supervision with respect to children placed in foster care was well established as of 1991. The defendants attempt to avoid the imposition of summary judgment by arguing that, even if their conduct violated the Fourth Amendment, qualified immunity should shield them from liability. Qualified immunity is available to state actors in Section 1983 suits if those actors reasonably believed that their conduct was lawful. However, a good faith belief in the legality of conduct is not sufficient. Held: No qualified immunity. Holding “a parent has a constitutionally protected right to the care and custody of his children and he cannot be summarily deprived of custody without notice and a hearing except when the children are in imminent danger.” No qualified immunity for social worker who removed child not in imminent danger. Court held: “the rights of families to be free from governmental interference and arbitrary state action are also important. Thus, we must balance, on the one hand, the need to protect children from abuse and neglect and, on the other, the preservation of the essential privacy and liberty interests that families are guaranteed under both the Fourth and Fourteenth Amendments of our Constitution.” Section 1983 case reinforces that removal of children from home by caseworker absent either a warrant or exigent circumstances violates those rights, and therefore no qualified immunity applies to caseworker. “We affirm the judgment insofar as it holds that the medical examination violated the Tenenbaums’ and Sarah’s procedural due-process rights and Sarah’s Fourth Amendment rights and awards damages therefor. 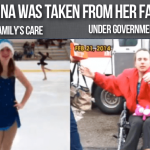 . . We conclude, however, that there is a triable issue of fact as to whether the defendants’ removal of Sarah from school was contrary to the procedural requirements of the Due Process Clause and to Sarah’s right to be free from unreasonable seizures under the Fourth Amendment.” The Missouri Bar has an informative Courts Bulletin describing the case. “Substantive due process does not categorically bar the government from altering parental custody rights.” What I find interesting about this case is that it was brought pro se, and that he sued a lot more people than I am. Whismans filed this action against juvenile officers and social workers, claiming they violated plaintiffs’ constitutional rights of familial association, denying plaintiffs due process of law. Defendants filed a motion to dismiss, contending that plaintiffs’ claims were not actionable under 42 U.S.C. ‘ 1983. Guess again! Holding that a “childs right to family integrity is concomitant to that of a parent. No qualified immunity for police officers who removed young child in this section 1983 action. 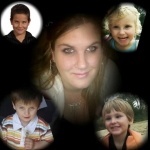 Social Workers are Not Trained to Investigate Crimes: Call Law Enforcement, Not CPS! Many people are outraged by child abuse and rightfully should be, since this is a crime. 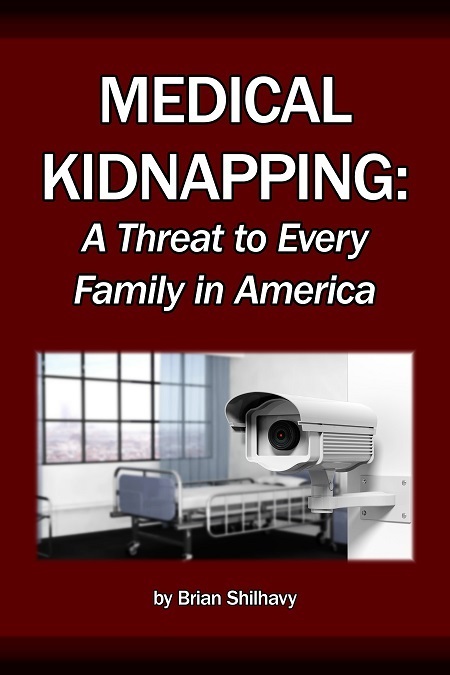 The stories reported by MedicalKidnap.com are stories where children are removed from loving families, not abusive ones, often based on a social worker’s or a Medical doctor’s opinion of neglect, either due to unsubstantiated anonymous calls, parents seeking a second doctor’s opinion, or simply because a social worker doesn’t agree with the parenting choices of the family. Since Child Protective Services (CPS) and Family Court operate on the lowest level of evidence – the Preponderance of Evidence – where the evidence just needs to be convincing, or more likely to be true than not true, all too often children are removed without justification, without legal warrants, and without any proper investigation, leaving families shattered and children broken. Many readers and concerned citizens hold fast to the idea that we need Child Protective Services to help the children who are truly victims of child abuse. In the interview below, Tammie Stefano and retired detective Dan Scott discuss the role of law enforcement in criminal child abuse, and how CPS is not trained to handle child abuse, investigate crimes, or make arrests. Could this be why many people comment that when they report child abuse to CPS, CPS allegedly does nothing, but in cases where children are not abused, CPS steps in and removes them from loving homes? Video interview with Tammi Stefano and retired LA County Sheriff Dan Scott. Detective Dan Scott of LA County retired from the LA Sheriff’s department after 33 years, during which he spent 26 years working for the Special Victims Unit (SVU), investigating or supervising investigations of alleged child abuse and sexual assault. 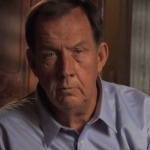 “The child abuse detectives are the step-children of the detective units throughout this country. They are not as important in the views of the administrators – chiefs, the sheriffs – as the homicide units, the gang units. “Social workers are not investigative police officers. They don’t work criminal cases. To expect them to be both social workers and police is a ridiculous assumption that is never going to work. Scott states that child abuse is not a priority, since it is being left to the social workers to investigate. 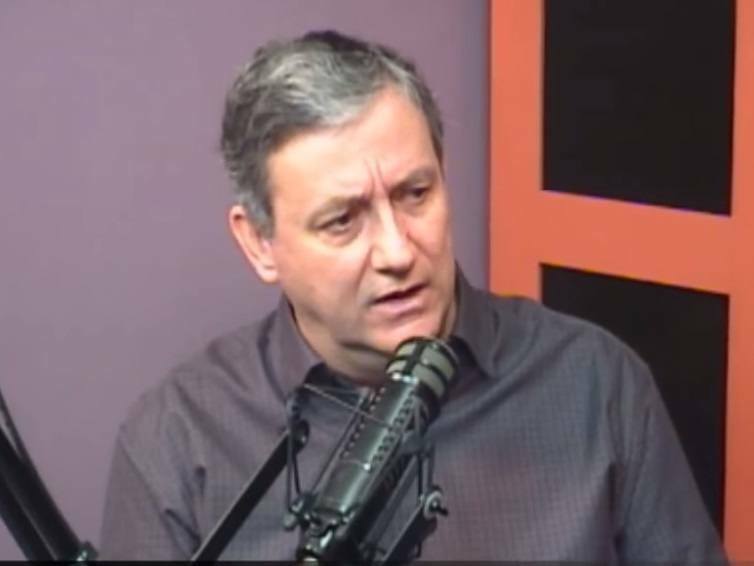 Scott explains that there is supposed to be “cross-reporting” SCAR (Suspected Child Abuse Reporting) between law enforcement and social workers, so that they notify each other when there are allegations of physical or sexual child abuse. Scott believes that all states have a cross-reporting law, and he says most law enforcements sit back and wait for social workers to let them know if they are “needed” – if the social worker feels it is a crime. Scott also says that while child abuse is a crime, there are “levels of child abuse” that are not criminal, such as neglect, and those cases are better left to social workers to assist with aid to the families, therapy, etc. Next, an attorney calls in to Stefano’s radio show and shares that how often, in a case where there is alleged sexual abuse – a crime – is only investigated by the social worker, and not by law enforcement. Scott points to case law ALEJO v. CITY OF ALHAMBRA, where the judge found the officer, the department, and the city liable for not investigating a criminal allegation of child abuse. Scott insists that this type of behavior is unacceptable for police officers who have a duty to investigate every crime, and that they can be sued when they don’t uphold their duty to protect and serve, as shown in the above-mentioned case law. Scott says that social workers’ goal should be reunification with the family in civil cases, but that should not be the case when a crime has been committed, and that criminal cases should only be investigated by law enforcement. He further says that these types of criminal child abuse cases require a very high burden of proof – Beyond a Reasonable Doubt – and these types of cases require a lot of evidence. He says that police have a better chance at gathering all the evidence when they are called (by social workers) to investigate right away. Scott further expounds that calling police first is the right thing to do, as it will always result in an SCAR report, a crime report if applicable, and an investigation, if needed. He also points out that there is a common misconception that law enforcement officers do not have the authority to take children into protective custody, and that only social workers can do that. But in fact, as Scott points out, every police office can take children into protective custody, and then release them to social workers to find temporary placement homes for them. Stefano and Scott end with comparing how social workers aren’t called to investigate homicide crimes, so why are they allowed to investigate child abuse crimes? Scott concludes that people need to get involved and law enforcement needs to be called; this is a priority, and law enforcement has a duty to be the ones investigating these crimes. 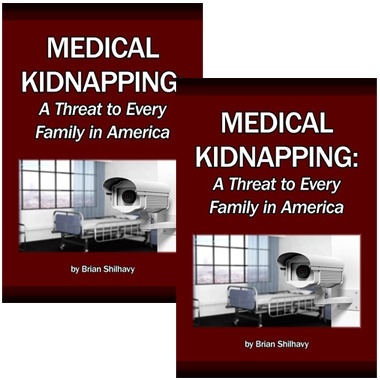 MedicalKidnap.com has expressed a similar viewpoint as Stefano and Scott, pointing out that when someone appropriately suspects child abuse – which is a CRIME – that law enforcement should be called, not Child Protective Services. In this way, a proper and lawful investigation will be conducted, due process will be followed, and if the accused is found guilty, they will be incarcerated as criminals, and the innocent children protected. If at all possible, children should never be removed from their home environment, but the alleged criminal should be removed, so that the children can maintain as much normalcy and security as possible, either with the non-offending parent, or a relative. Arresting a suspected criminal can only be done by law enforcement, therefore, child abuse investigations should be left to law enforcement. See: Does the State Ever Have a “Right” to Remove Children from a Home? Child Protective Services do not conduct proper investigations, nor do they gather evidence, since they only need to give their opinion – Preponderance of Evidence – in order to have a child removed from its family. 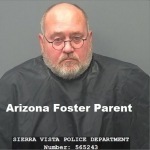 If child abuse is suspected, since social workers cannot make arrests, the alleged criminal is left within the home and the children are removed from the home: due process is rarely followed, alleged criminals aren’t incarcerated, but the children are incarcerated by being removed from their home and placed with total strangers. Children are subjected to even more anguish as a result of the separation from their parents. Why do we let this broken system of CPS continue to destroy families, especially innocent children, when we already have a legal system that is more than capable of investigating any real crimes of child abuse? Law enforcement needs to be encouraged to step up to the plate and uphold the Constitutional Rights of their constituents. When criminal child abuse is suspected, law enforcement needs to investigate, following all laws, and arresting and removing alleged criminals when warranted. 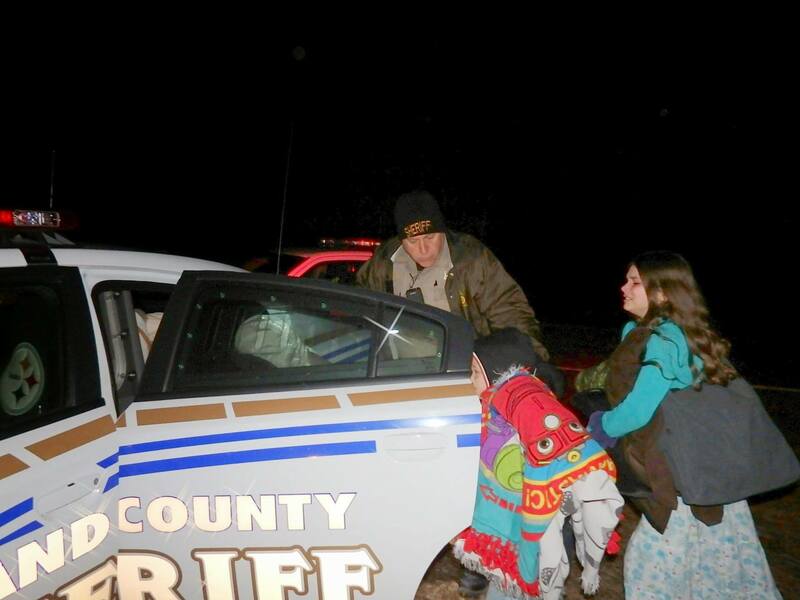 Sheriffs needs to impede the power of social workers to remove children from homes. If children need to be taken into temporary custody, law enforcement has the authority do this, and they can call upon the assistance of social workers to aid in finding temporary housing, seeking kinship care as the first priority. CPS has been given too much power to do the job that only law enforcement can properly do. Sheriffs needs to reign in CPS, limiting their authority to intrude upon the personal affairs of families, and preventing them from violating the Constitutional Rights of families within their jurisdiction. Social workers should not set the bar for the standard a family should live by: they should never have the power to usurp parental authority because “in their opinion” they think a family is being “neglectful,” simply because the social worker does not like the way another family lives their life. Children should never be removed from a home based on a social worker’s disagreement over a family’s parenting style, a family’s medical decisions for their children, poverty, cleanliness of a family’s home, whether a family lives off-grid or has full city amenities, their religious choices, home birthing or hospital birthing, choosing natural healthcare, or refusing vaccines or certain medical procedures, choosing home-schooling, or and lifestyle choices or difference a family may have. These are liberties we as Americans enjoy under our Constitution – to be free of excessive government intrusion! Opinionated social workers wielding the power of “Preponderance of Evidence” are destroying American families, and this needs to be stopped by every local sheriff throughout the country. Local sheriffs are truly the people’s last line of defense, the ones who can keep other state agents, like social workers, doctors, hospitals, and even judges, in check. Sheriffs need to be reminded of the authority and power they hold, that they are the highest authority within their jurisdiction. Sheriffs need to be reminded that as an elected official, they have a duty and obligation to protect their constituents. Carson v. Elrod – No bond is more precious and none should be more zealously protected by the law as the bond between parent and child. Doe v. Irwin (US. D. C. of Michigan 1985) The rights of parents to the care, custody and nurture of their children is of such character that it cannot be denied without violating those fundamental principles of liberty and justice which lie at the base of all our civil and political institutions, and such right is a fundamental right protected by this amendment (First) and Amendments 5, 9, and 14. Elrod v. Burns (96 S. Ct. 1976) – Loss of First Amendment Freedoms, for even minimal periods of time, unquestionably constitutes irreparable injury. In the Interest of Cooper (Kansas 1980) – Parent’s interest in custody of their children is a liberty interest which has received considerable constitutional protection; a parent who is deprived of custody of his or her child, even though temporarily, suffers thereby grievous loss and such loss deserves extensive due process protection. In re J.S. and C. – A parent’s right to care and companionship of his or her children are so fundamental, as to be guaranteed protection under the First, Ninth, and Fourteenth Amendments of the United States Constitution. 324 A 2d 90; supra 129 NJ Super, at 489. Parham v. J.R. (1979) – Involves parent’s rights to make medical decisions regarding their children’s mental health. Ram v. Rubin (9th Cir. 1997) – Children may not be removed from their home by police officers or social workers without notice and a hearing unless the officials have a reasonable belief that the children are in imminent danger. It should be abundantly clear, that when considering the “best interest of the child,” if no crime has been committed, that the best interest of the child in all cases is for the child to remain with the family! Both CPS and local law enforcement need to be held accountable to uphold the law. Ending the massive billion dollar funding that supplies child social service employment, foster care, and family courts, is not likely to end any time soon. So the best possibility we have to ending CPS tyranny is the county sheriff. Is your local sheriff up for the job of being a Constitutional sheriff? If not, next time, vote for one who will be!